It is important that all passengers understand the pre-flight briefing. The instructions given during the briefing, educate you on the procedures to follow during your helicopter experience and are designed to keep you safe at all times. Please follow these instructions for your own safety around helicopter. Before we fly, it’s important to know what is expected of you. The pilot and/or staff will tell you when and how to enter and exit the helicopter, they are there to ensure your safety but can only do so with your cooperation. Wait for the pilots signal before moving toward the aircraft. Approach the helicopter from the FRONT or sides only! Never approach the helicopter from the rear at all times. Stand low in a crouch as you approach the helicopter on level ground as its rotors are turning. Always depart the helicopter in the same direction you entered it, from the front or side, and make sure it is in the safety zones described above. Remember not to wave your arms, jump, or lift anything over your head, and keep all loose personal items secure. Securing your personal belongings is important. Lightweight items can blow away as you near the helicopter. Let an item go if it flies out of your hands. You could get hurt if you try to chase it. Required before taking any tour. For your safety and the best experience possible, we do not fly in thunderstorms, rain, or conditions which produce low-visibility. 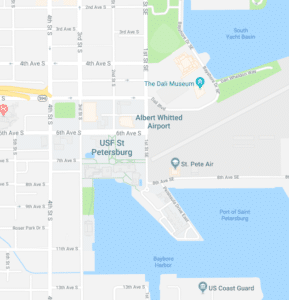 We want you to have a safe and enjoyable experience when you fly with us, therefore if your flight will be unsafe due to weather or your views of Florida will be hindered due to low visibility, we will contact you as early as possible to reschedule your tour. If your flight is rescheduled due to weather there is no additional charge. Intoxicated passengers will not be allowed to fly. The pilot has the right to refuse any passenger. Firearms, knives, sharp objects, weapons, compressed gases, explosives & flammable materials are not allowed on the property or inside the helicopter at any time. Strict 300lb weight limit per seat and less than 500 lbs for all three passengers. Children under 16 years old must be accompanied by an adult and able to sit in their own seat. Children under 2 years old can sit on the lap of a parent or guardian. All passengers over the age of 16 must have a valid Photo ID. You must arrive at least 10 minutes before your departure time. Failing to do so could result in a change of your reservation. No smoking allowed during the flight. 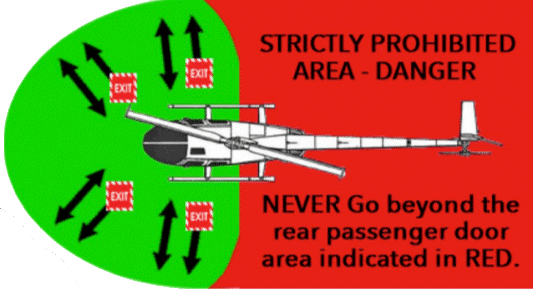 These limitations are for the safety of the passengers and crew, they are not optional. Please click here to sign our online form.